I was waiting with my nephew, Chance, outside the Haunted Mansion and asked him about his favorite bands. Of course I didn't expect to know any of the ones he said; he's a teenager. When he asked me, I told him I liked older music like Frank Sinatra and Rosemary Clooney. I'm sure this felt like talking to someone from ancient Mesopotamia to him, but he's always polite, and said, "I like them too." 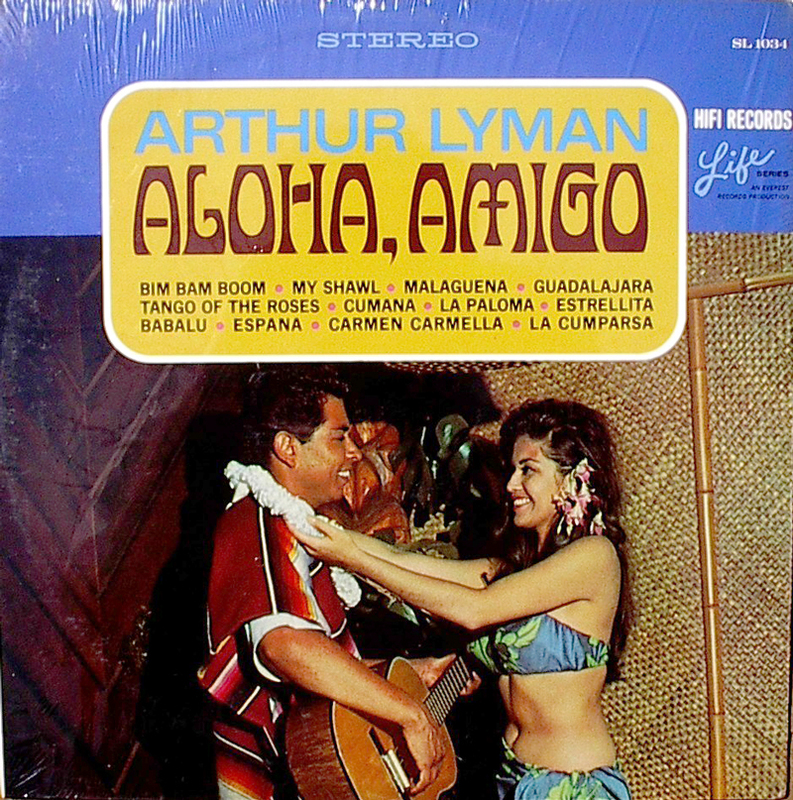 I didn't reveal the more embarrassingly uncool truth, that I like cheesy Hawaiian music. 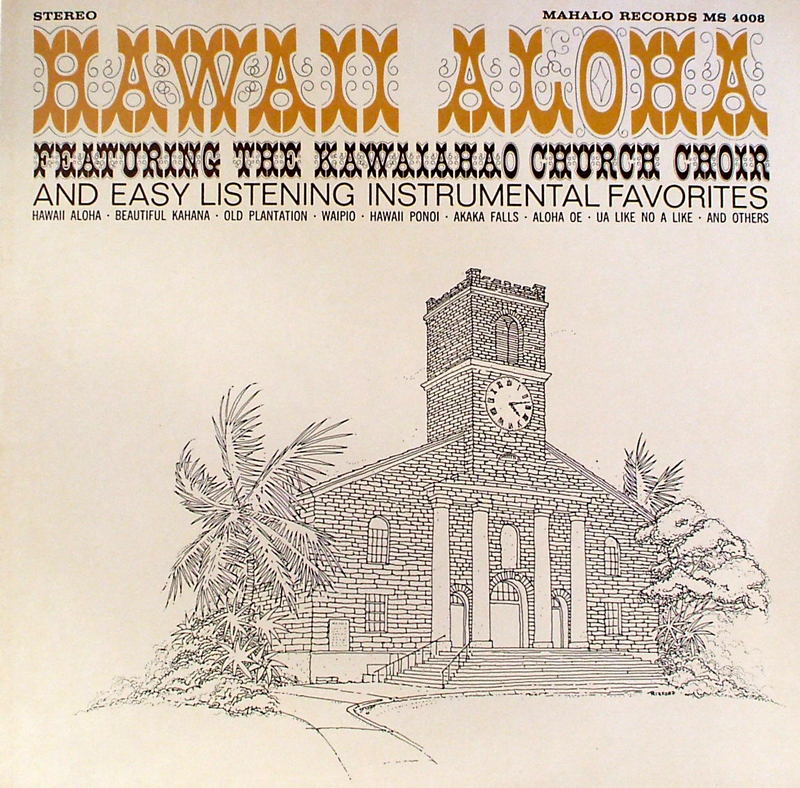 Sure I appreciate the authentic Hawaiian music, but I have a soft spot for the schlocky stuff. 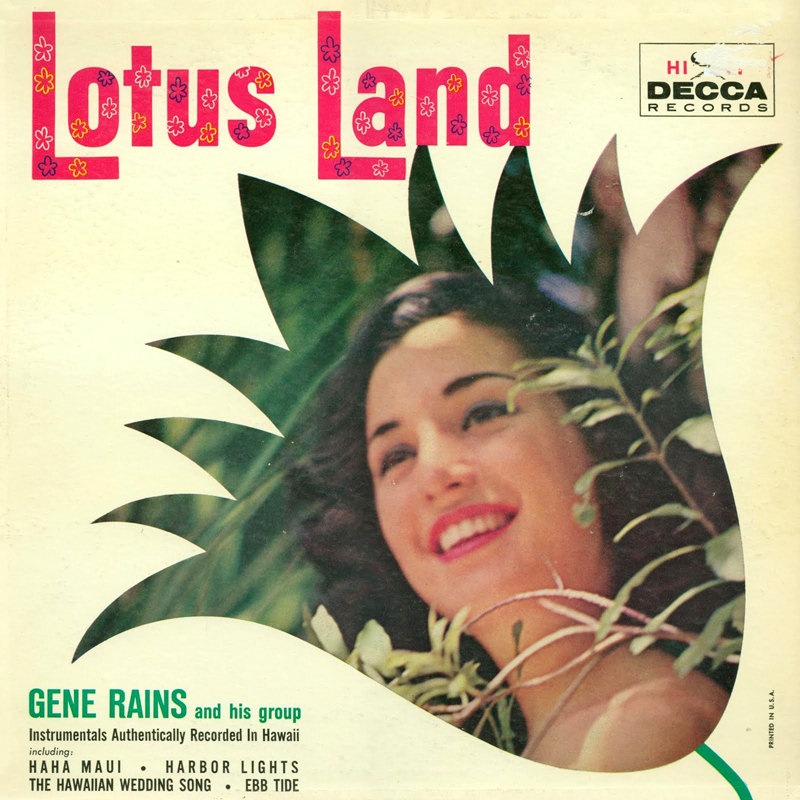 I buy many of these records at Amoeba Records. They're always in the 99 cent bin, or left outside to be taken away free. 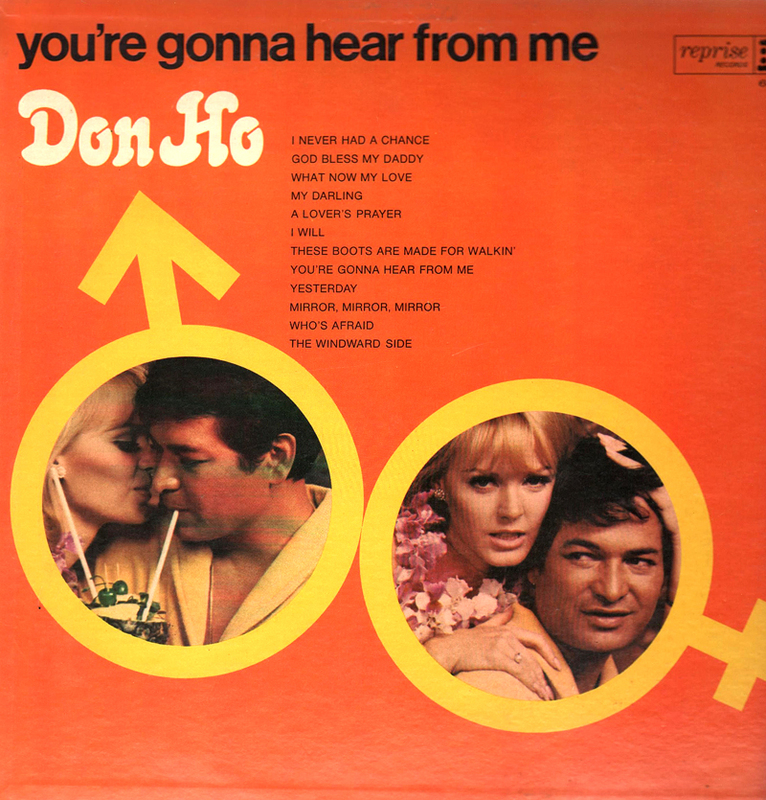 Clearly there is low demand for Don Ho's Hawaii-Ho (which is not about prostitutes on Waikiki). Yes, sometimes they are too bad, even for me. 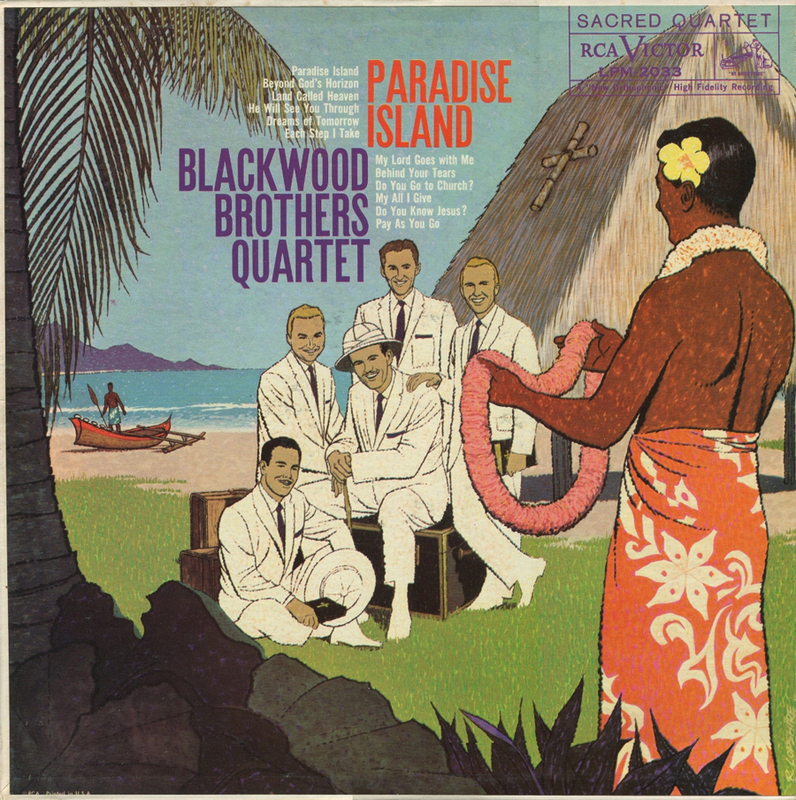 The Blackwood Brothers Quartet album cover reads as either a gay wedding or white party, but it turned out to be gospel music in a Hawaiian style. 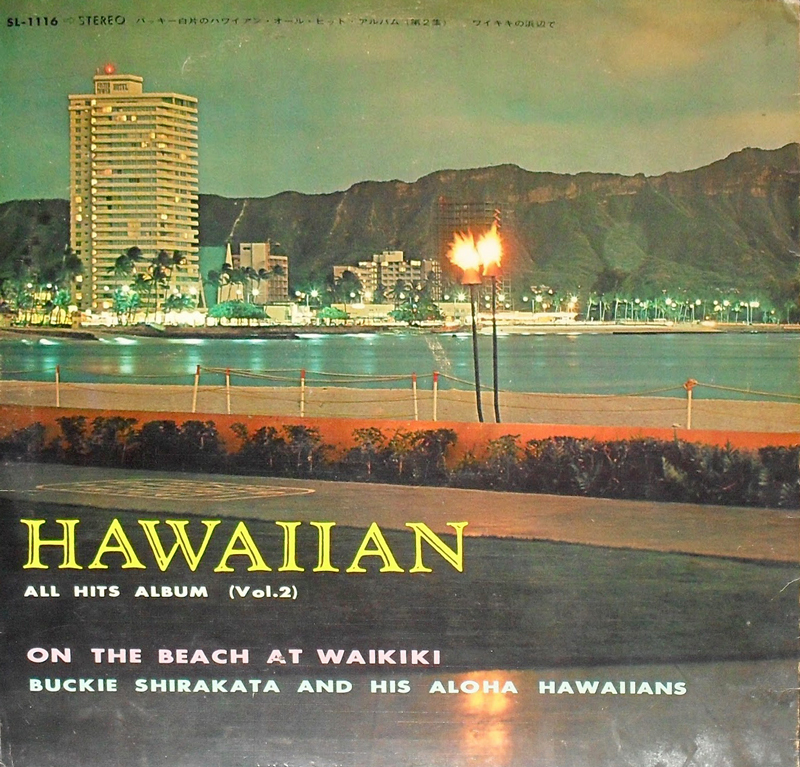 I don't know what happened to the actual record, but the cover for Hawaiian Polka Tour with Eddie Blazonczyck's Versatones is remarkable. You can't ignore the Jim Jones style portrait on the cover. On the other end of the spectrum, some of the design is not half bad. 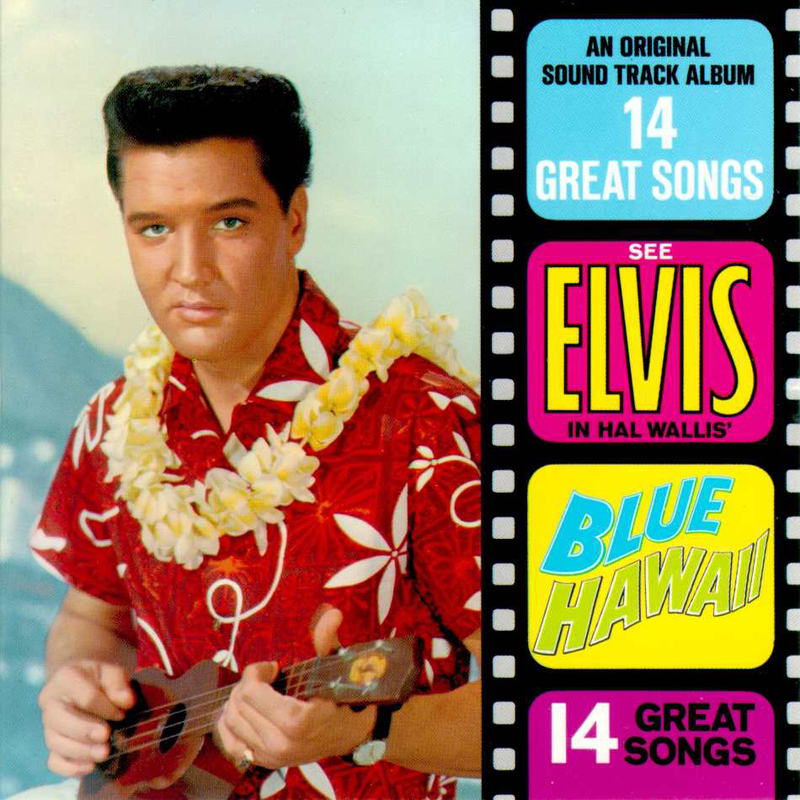 Alfred Apaka's Hawaiian Favorites, the Ilikai Hotel'sMusic of Hawaii, and of course, Elvis Presley's Blue Hawaiiare classics. There's some good letterforms too. I assume the message with these is, "primitive, wacky, and carefree." That sounds like my normal weekend.